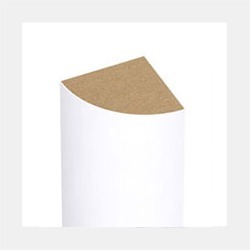 FAUS corner trims or moldings are accessories made of high quality materials such as medium density water-repellent support, which allows them to be installed in any room, except bathrooms (due to excessive humidity and water spills caused). It is an ideal product to be in the interior corners and walls that form 90 degrees, the intersection between the floor and the wall and the wall with the ceiling or in the interior corners of the rooms. Thanks to the excellent finish of the corner pieces manufactured, the product offers great qualities and guarantees that make it one of the most demanded accessories and used by professionals dedicated to interior design and decoration who choose them for their versatility and excellence. 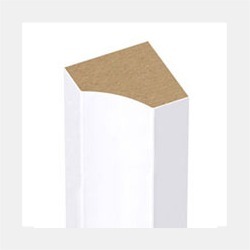 These moldings come with two types of design, which are the quarter circle or jonquil and corner with concave angle, have measures of 2,430 mm long by 15 mm wide and 15 mm thick. Dimensions that allow to cover spaces of great length with a single accessory and that if necessary are easy to cut, being able to adjust to all types of situations required by the specialist. Our corner units have properties and qualities that make them a unique complement. In addition to its technical features such as the MDF board are offered in a wide range of shades that makes them ideal to complement all types of interior design projects. With white tones, wenge, new oak, cherry, Sapelly Nevada, Haya Daimiel, natural oak, aluminum gray and crude, they fit perfectly with all types of walls, floors and ceilings, since they offer practically all the colorations used in any installation and assembly. To install these moldings, it is necessary to have a flat and smooth surface and this way ensures the quality of the assembly and the perfect finish. It is very important to respect these indications so that there are no errors during installation and the result is expected by the customer. This is how you enjoy the unique properties of the FAUS moldings, manufactured in Spain following the highest quality standards and using the highest quality raw materials. Thanks to this manufacturing system, the performance offered by all FAUS complements is unbeatable, providing warmth and pleasure to rooms where the corner of medium density material is installed.